A fabulous first course, this green salad will start the meal off right. 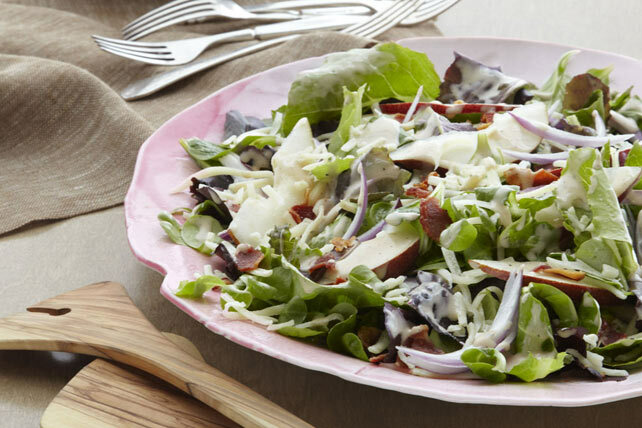 Sliced pears, shredded cheese and crispy bacon top mixed greens tossed with a balsamic dressing. Prepare using Cracker Barrel Shredded Light 4 Cheese Italiano Cheese.